Furzehill Road runs from Shenley Road to Barnet Lane. 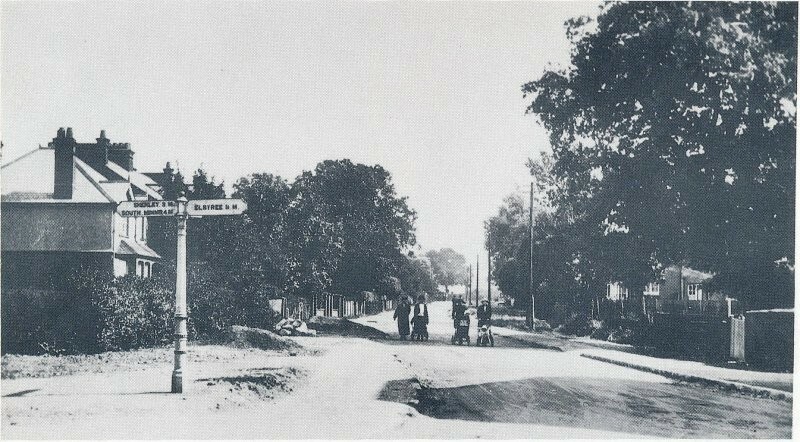 Looking along Furzehill Road from the Shenley Road junction, early twentieth century. 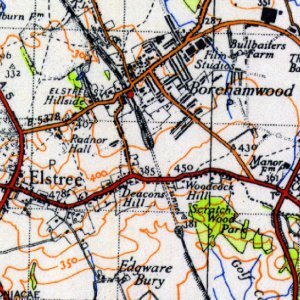 Several roads in Boreham Wood including Barnet Lane, Furzehill Road, Shenley Road, Allum Lane and Theobald Street, were created as a result of the Enclosure Act of 1776, whereby the 684 acres of Borehamwood Common were divided up amongst various landowners, including the Church, and in return new roads were laid out which were to be sixty feet wide including verges. Old photos from the nineteenth century show this verge intact and it can still be seen to the south of the junction with Brownlow Road. In 1910 the Council handed over four acres of allotment land for the building of Furzehill School, and the plot-holders were awarded £1 each in compensation. 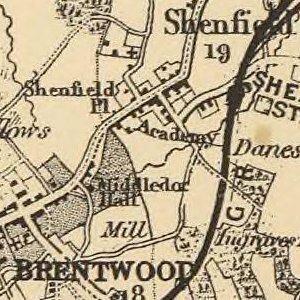 The Council then purchased another four acres for £300.00 for allotment land, and a further 7 acres in 1924, just off Furzehill Road, for the sum of £157.1s.4d. At the southern end of Furzehill Road was the Home of Rest For Horses until the 1970s. 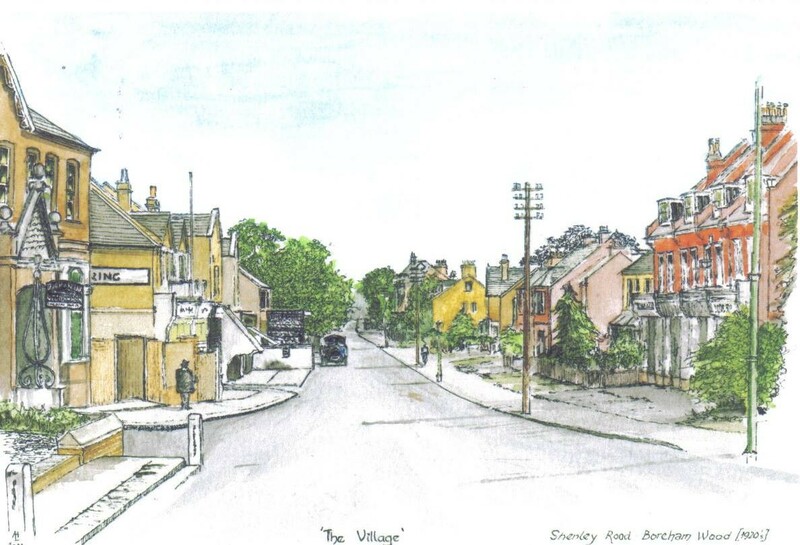 Apart from the Barnet Lane end of the road, it is completely built up and part of the urban area of Borehamwood.